Henderson Tourist Commission – Stop and Smell the Flowers! Henderson Tourist Commission / wildflower bloom extravaganza walk audubon state park flower backyard habitat trail animals children adults / Stop and Smell the Flowers! 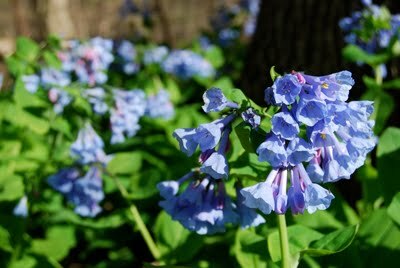 Join the staff of Audubon State Park as they explore the wildflowers of our area. Enjoy a leisurely walk, childrens’ activities, a scavenger hunt and more! Learn about the traditional uses of native wildflower plants on this one-mile hike. 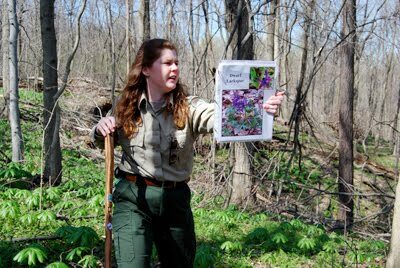 Learn about the traditional uses of native wildflower plants on this half a mile hike. In this 30 minute program for children ages 3-5, we’ll learn about shapes, colors and our local flowers on this easy paved trail. Naturalist Julie McDonald takes you through the steps needed to make your yard into a National Wildlife Federation “Backy ard Habitat.” You’ll see examples of the habitat components during this program and spot the components in Audubon State Park’s designated habitat area. We’ll identify as many flowers as we can on this challenging 1-mile trail ranging from ridge to river. For further questions, contact Julie at Audubon State Park: (270) 826-2247.